The Brain & Spine Foundation aims to connect in a variety of ways with health professionals such as GPs, clinical nurse specialists and rehabilitation staff, in order to enable us to further reach, support and inform even more patients and carers affected by neurological problems through our helpline and information services. 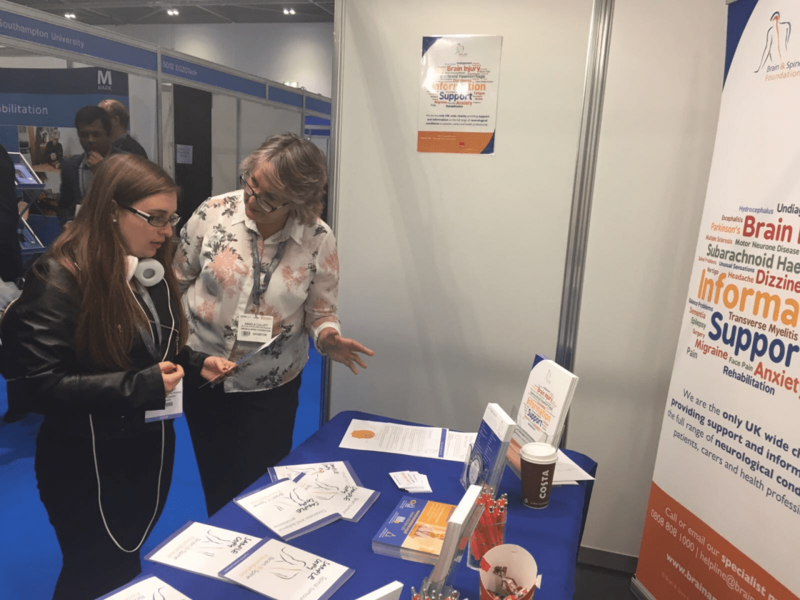 We are always looking for opportunities to further this outreach work with health professionals, or receive feedback on how we can better support you in your work with patients and families affected by a neurological condition. Our former Helpline and Information Officer, Dorothy, explains the work of the charity at the Therapy Expo in Birmingham, November 2016. 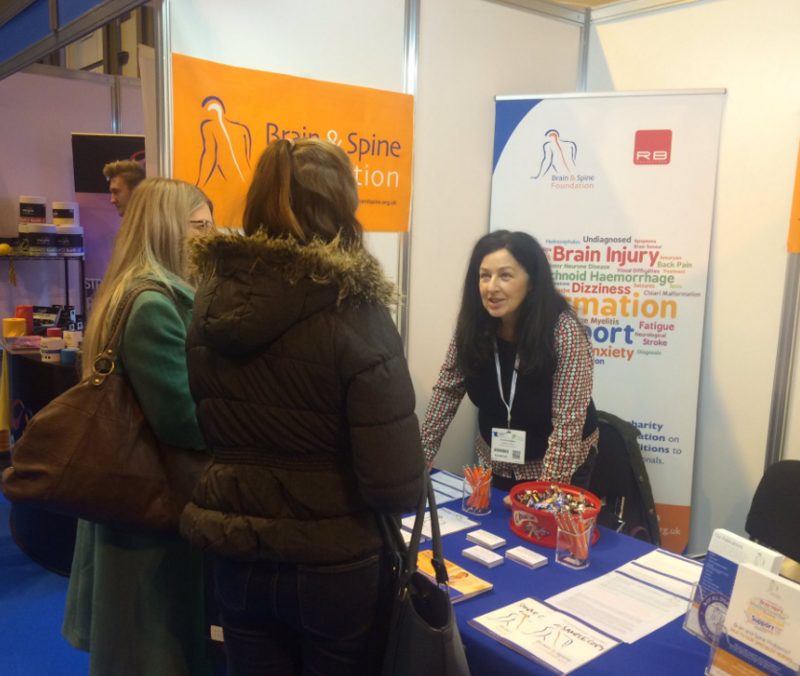 Healthcare events and conferences are important opportunities for the Brain & Spine Foundation to connect with health professionals working across the UK, and to raise awareness of the support, information and education we can offer to patients and carers affected by a neurological problem. It also allows us to better understand the needs of you as health professionals working in a variety of settings, in order to better inform our helpline and information services. The Brain & Spine Foundation will be exhibiting at the following conferences this year – we hope to see you there!